The leaked report submitted by the deputy inspector of Bengaluru central prison alleged that the prison provided special kitchen facilities for Sasikala. 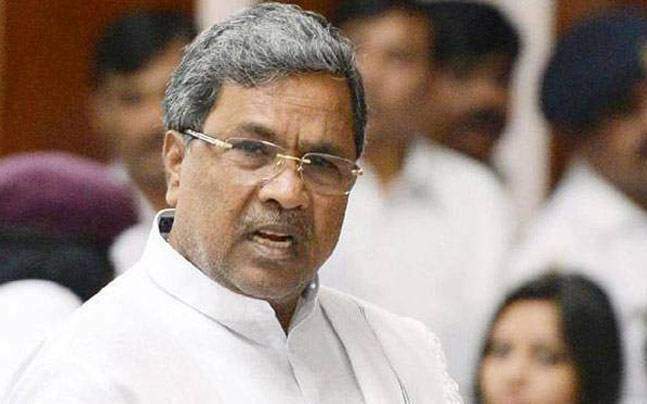 BENGALURU: Karnataka chief minister Siddaramaiah on Thursday ordered a high-level probe into the alleged irregularities in Bengaluru Central Prison pointed out in a report by deputy inspector general of police D Roopa. The report also implicates director general of police (prisons), H N Sathyanarayana Rao. The leaked report submitted by D Roopa to DG & IGP alleged that the prison provided special kitchen facilities for AIADMK general secretary V K Sasikala. Roopa alleged that a superior officer was paid off Rs 2 crore for the same. The report also said that 18 of the 25 inmates subjected to drug tests failed the test, he said. However, DGP Sathyanarayana Rao, dismissing the allegations, said none of the inmates were under the influence of drugs. "The tests were conducted not on inmates, but on persons who were under judicial custody at the prisons," he said. Other allegations made in the report included providing an assistant to Abdul Kareem Telgi, king-pin of fake stamp paper scam. Rao claimed that the report was deliberately leaked as he had issued a memo to D Roopa, for skipping a meeting of IPS officers chaired by chief minister Siddaramaiah recently. "I had issued a memo to D Roopa for providing an explanation. But she is still yet to respond to it and is now diverting the issue", he added. Speaking to reporters, Rao said that if Roopa had observed any violations in the prison or dereliction of duty among the jail officials she could have discussed it with him. "But she shared the report to the media before it reached me. She does not know the prison rules and regulations and has made a report. I may seek legal help against her baseless allegations," he said. Following the development some of the inmates in the Central Prisons protested inside their barracks and shouted slogans against D Roopa for damaging the image of the inmates.